1. Humarin; 2. Right-bank Cimljanskoe gorodishte; 3.Majackoe gorodishte; 4. Sarkel (Left-bank Cimljanskoe gorodishte); 5. 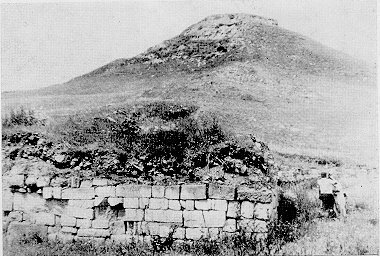 Pliska;6. Madara; 7. Preslav; 8. Han Krum; 9. 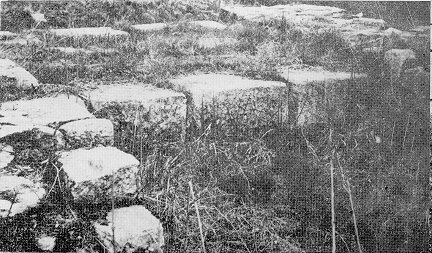 Silistra; 10. Pyjkul luj Soare;11. Slon; 12. Devnja. The Humarin gorodishte. The tower next to the gatewith ashlar blocks. At the far end - the citadel of the fortress. 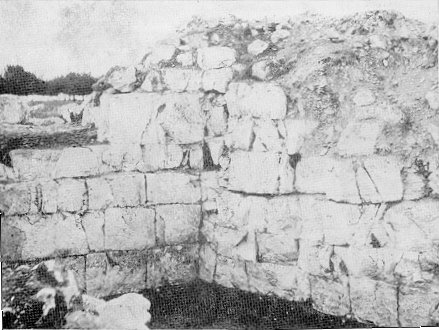 Part of the fortified wall of Humarin and the pagansanctuary next to it. Majackoe gorodishte. 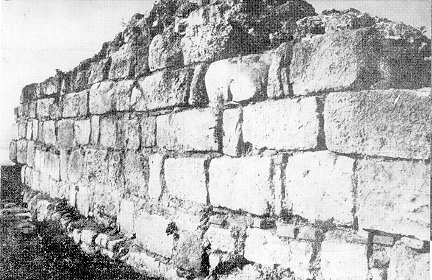 Part of the inner side of the wallwith the typical ashlar blocks. 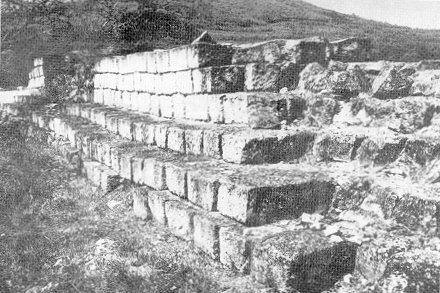 Part of the wall of the Early Bulgarian fortress of Drystyr(Silistra), bult of limestone quadras. 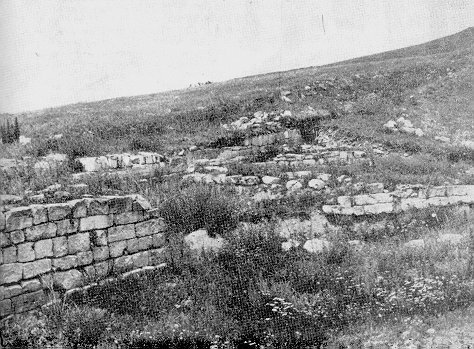 Part of the wall of the Early Bulgarian fortress of Devnja. 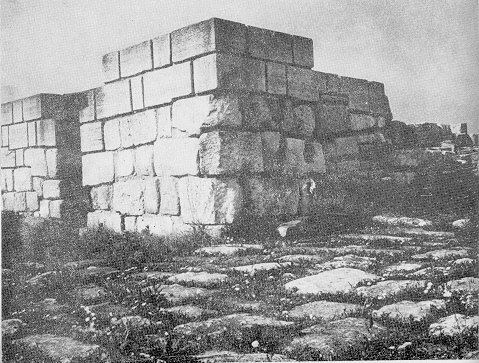 The Western gate of the Inner town of Pliska, built oflarge limestone quadras. 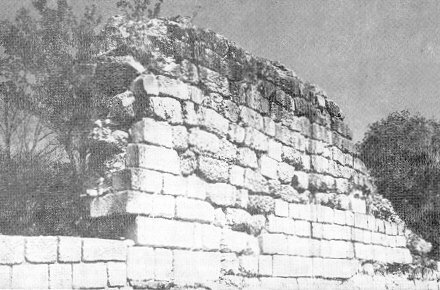 The Western gate of Pliska. 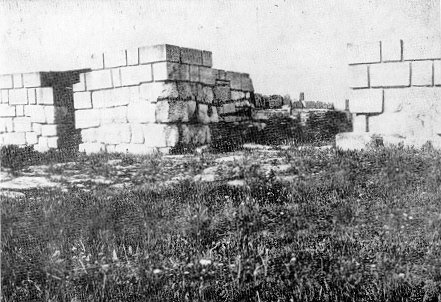 Part of the wall of the Preslav fortress. 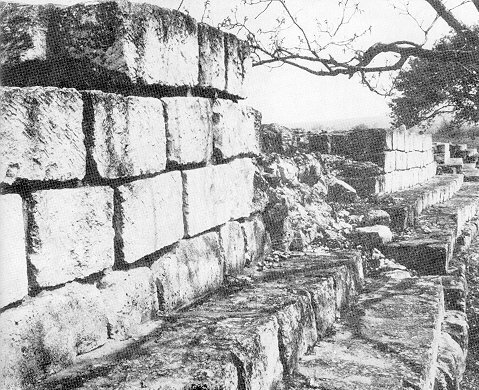 The walls of Preslav, built in the typical quadras.